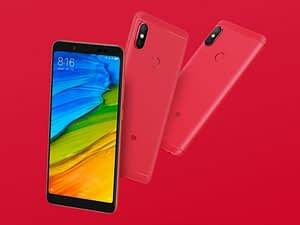 Xiaomi Redmi Note 5 Pro has started to receive the MIUI 10 Global Stable ROM update. Reported by many users on the MIUI forum, Xiaomi Redmi Note 5 has started to get over-the-air update notification, or in some cases, the update is being notified via the Updater app. The rollout of the update is reportedly going out in a phased manner, so if you haven’t already received it, you may have to wait for just a few hours of days. The OTA rollout should ideally be complete by next. You can also manually check and run the update, by heading to Settings > About phone > System updates > Check for updates. You can download it through the Updater app, as well. Sadly, if you want to sideload or flash the update, Xiaomi is yet to provide the Recovery ROM and Fastboot ROM links. Further, users mentioned on the forum that the MIUI 10 stable update comes with the version number MIUI 10.0.1.0.OEIMIFH, and weighs 580 MB in size. The update also comes along with September 2018 Android Security Patch. As for the changelog, the MIUI 10 Global Stable update brings full-screen gestures, which make it a better option for devices with newer aspect ratios and thin-bezel displays. Apparently, the MIUI 10 Global Stable ROM also includes natural sounds and ambient sounds.